What is the Brake Master Cylinder? The brake master cylinder, also known as the master cylinder, is a hydraulic pump. It feeds brake fluid into the brake circuit to convert the pressure on the brake pedal to the hydraulic pressure. There are many moving parts that make up the brake master cylinder. We’ll explain the role each part plays, making it easy to target a problem. For every car that has disc brakes on their front wheels and drum brakes on their back wheels, they will also contain a proportioning valve. The purpose of this valve is to signal the drum brakes to engage first, followed by the disc brakes. Next are the primary and secondary pistons. 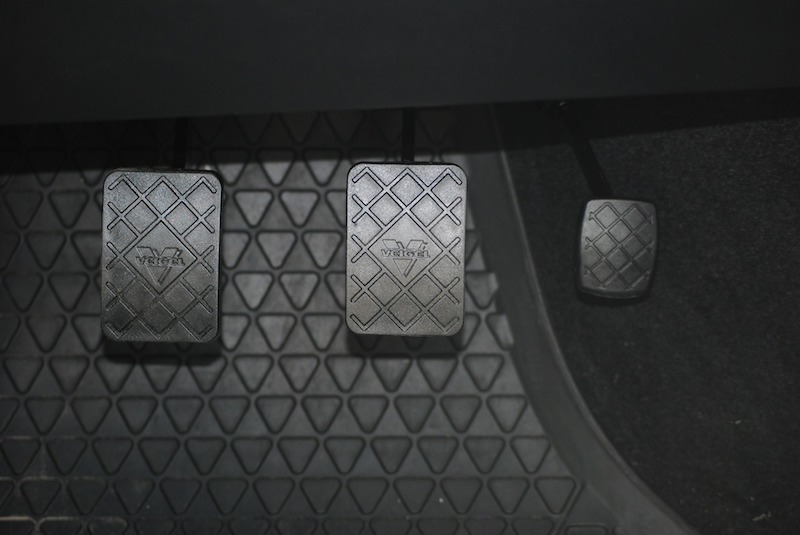 When you begin to press down on the brake pedal, the primary piston is triggered and begins to press down as well. Pressure will start to build in the master cylinder as you push farther down on the brake pedal. This pressure building between the primary and secondary piston will lead the secondary piston to compress the fluid. The filler cap attached to the brake fluid reservoir has a tiny hole on the top that allows the fluid to fluctuate without causing pressure. It is important to keep this cap sealed to ensure that dust or moisture won’t seep in and contaminate the fluid. The fluid level sensor helps keep track of how much fluid is in the brake reservoir. When a pressure imbalance occurs, your brake light will turn on, signaling that the reservoir should be checked. Now that we know how the brake master cylinder functions, it will be easier to detect problems. If your vehicle begins to experience any of these issues, have it looked at by your local transmission specialist. As we mentioned before, it is important to keep your filler cap sealed to avoid contamination. When checking your brake fluid, if the color is a dark brown or black shade, it has been contaminated. Fresh brake fluid should be clear or yellow. If your brake pedal feels spongy or begins to sink into the floor of the vehicle, it is time to get the brake master cylinder inspected. If the brake master cylinder or surrounding areas begin to leak, your brake fluid level will begin to drop. The cylinder needs to have a specific amount of fluid, otherwise, the vehicle will not be creating enough pressure to slow down or come to a stop. Step 1: You’ll begin by opening the hood of your car and locating your brake fluid reservoir. If you’re struggling to find the brake fluid reservoir, try looking towards the back of the engine bay. Step 2: Ask a friend or family member to sit in your car and press down on the brakes. While they are braking, look at the cylinder to see if the fluid begins to swirl or bubble. If it does, you will want to bring your car in and have the brake master cylinder inspected. Step 3: Next, you’ll want to check the surrounding areas to make sure that there aren’t any leaks. Step 4: Begin applying pressure to your brakes and continue pushing down, maintaining the same amount of pressure until the pedal stops. If you notice that the brake pedal begins to sink lower into the floor, you should call and make an appointment with a professional. Chances are your brake master cylinder will need to be repaired or replaced. If you have any questions or concerns about your brake master cylinder, call General Transmission Reno and speak with a professional! Text 'TRANSMISSION' to 474747 to get a quote today. Curious about the cost? Fill out the Request a Quote form below and see for yourself. We promise to never share any of your information. We only gather what we need to accurately share information about our products and services and never to disclose to a third party. Msg&data rates may apply. To unsubscribe from this list reply 'STOP' to 474747. Text ‘TRANSMISSION’ to 474747 to get a quote today. Msg&data rates may apply. To unsubscribe from this list reply ‘STOP’ to 474747.